My son started Pre-Primary this year and the two main things the teachers are concentrating on at the moment are reading and writing. He has reading and flash-card homework so the reading bit is covered but to help his writing along (and this is really mainly for when we are out and about not as an add-on to his nightly homework), I made him up some really simple writing cards. Notice the third hand creeping into the pic? Little sis always has to get in on the action! I used Victorian Modern Cursive, which is the font of choice by WA schools - not sure if it's Australia wide - because I wanted him to be practising exactly what he uses at his school. 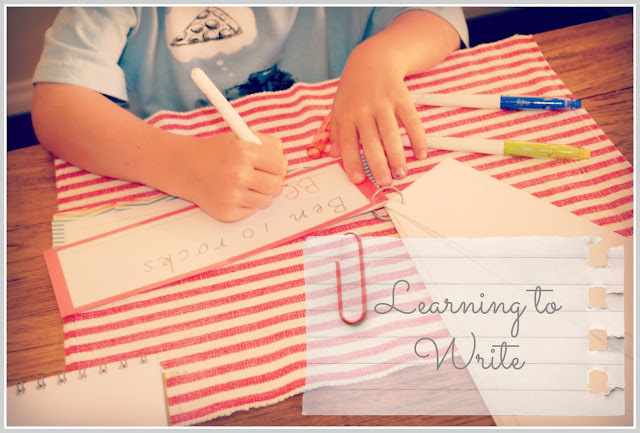 I kept the phrases simple and asked him for some input on what he wanted to practise writing. His first response was "Ben 10 rocks" (of course it was) and I expected his second response to be "My Mum is great" (of course it wasn't!). I added it anyway. I then printed and laminated the cards and have them held together with a curtain ring which I had in my sewing box. The laminate lets him write and erase as often as he wants. 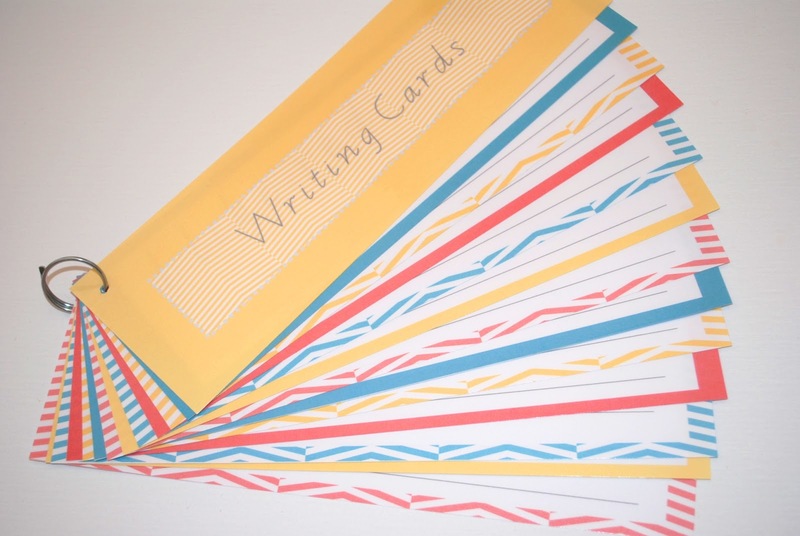 If you have little ones in Pre-Primary, or Kindy, and you would like them to have a little extra writing practise, feel free to download the writing cards. Some thing like this would also be great for journal prompts for my 8 year old who needs to focus on his story-telling!